Now is the time to complete your Chris21 version 8-10 upgrade. As you will be aware, each year you are required to upgrade your version of Chris21 and other modules, in particular HR21. This time around, the Chris21 version 8-10 upgrade is due. These annual upgrades are especially relevant for legislation and taxation changes, but will also include new features, enhancements and other improvements in the software. The Chris21 and HR21 upgrades must be performed before the end of financial year 2017. Ideally you will already have the software and are planning the upgrade to fit in with your resourcing. 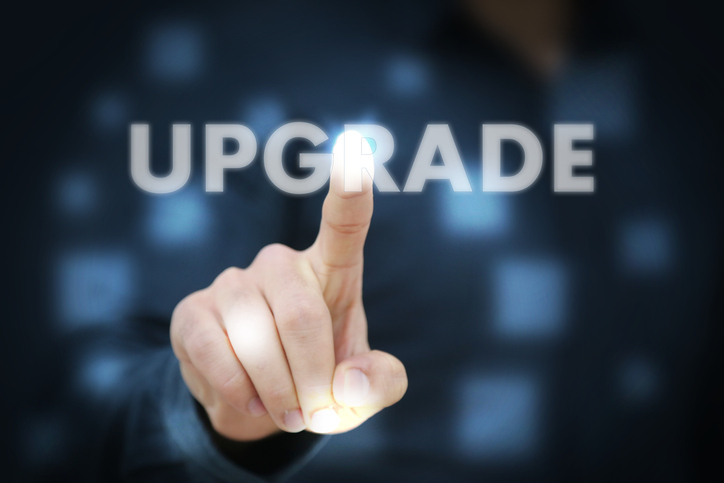 It’s always best to try to get the upgrade under way as early as possible so that you have time to address any issues from testing and so that you have a stable system prior to your end of year processing. The latest Chris21 upgrade is version 8-10-1 and has been available since late last year. This is the version that is released on CD and is referred to as the base release. Subsequent updates are released to address issues that are found in the base release. These are known as engine updates. At the time of writing, the latest engine update is version 8-10-08. As you can see, the engine updates come thick and fast. It’s a good idea to install the most recent engine update because with the latest update you will have the most stable version of the software. Furthermore, if you find an issue from your testing, you can be sure that there are no new releases available that may address your issue. Similar to Chris21, HR21 is regularly updated from the base version. The base version is 3.14.1.0 and is included on the Chris21 version 8-10 upgrade CD. The latest HR21 update is version 3.14.4.0 (at the time of writing). As mentioned, HR21 is updated on a regular basis so it’s a good idea to keep on top of this and install the latest version as soon as possible. This Chris21 version 8-10 upgrade is quite significant, especially if you use the database option. There are some major changes to the database that may impact interfaces or reports from your Chris21 SQL or Oracle database. I am currently helping clients with their upgrades and can say that the release notes make for some quite heavy reading, there’s a lot to get through! It’s always a good idea to upgrade your test environment first and run test scripts. Make sure your test system has a recent copy of your Production DAT directory before upgrading. Consider archiving before you start. This will reduce the size of your database which in turn will speed up the upgrade process. See my blog Chris21 Archiving – the Pros and Cons for more information. If you are using the database option, I always recommend moving your database to the native Vision format before beginning the upgrade. You can then back up your DAT directory and you have more control over the upgrade process. Move the database back to SQL or Oracle once the upgrade has been completed without errors. If you are using the database option, make sure you read the “New Upgrade Process – Read Me First” document. You will find this in the documents section of the upgrade CD. Make sure you run the Data Dictionary Changes Impact (DDI) and Data Functions (DBF) functions after upgrading. After running DDI and DBF you should carefully check your customisations. Sometimes things will go wrong and this can mean overlapping data or customised fields disappearing. The way to do this properly is by visually checking the upgraded version against your Production environment, form by form. If you do find a lot of problems with your customisations, it could be that they were not not done properly. Have a read of my blog Chris21 Customisations – Do it Right! for help with this. Thorough testing by Payroll is vital. As a bare minimum you should run a payrun in the upgraded version and check the results. HR21 is updated as a fresh install each time. Therefore, you will need to copy back in any customisations, such as images and changes to stylesheets. The release notes have further information regarding pre and post upgrade checklists. Let us know if you have found any issues with your Chris21 version 8-10 upgrade or indeed if you have solutions to problems you have encountered. This could be very useful for your fellow Chris21 users who are reading this blog. Please feel free to contact us at System Logic if you would like to take advantage of our consulting services to help with your Chris21 upgrade. Or if you simply have a question, you can post a comment below and I will do my best to find you an answer. we upgrade the TEST last week to 8.10. Did the testing. all good except I couldn’t access employees details EMDET. Thanks for the information Micheline. It’s unusual that the upgrade would affect this. Definitely something for users to be aware of.